Loc Jewel splendor this design embodies elegance and style. 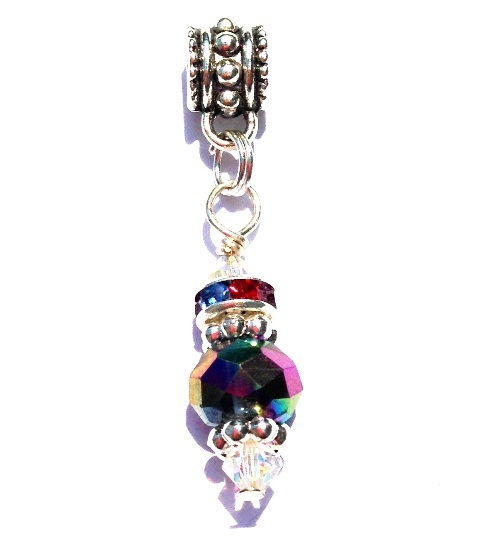 The focal round iridescent peacock facet crystal framed with a mosaic multicolored rondelle, silver accent beads and diamond crystal finishes. Fabulous!